As part of the mod tools, there is a tool to review and approve suggested edits. 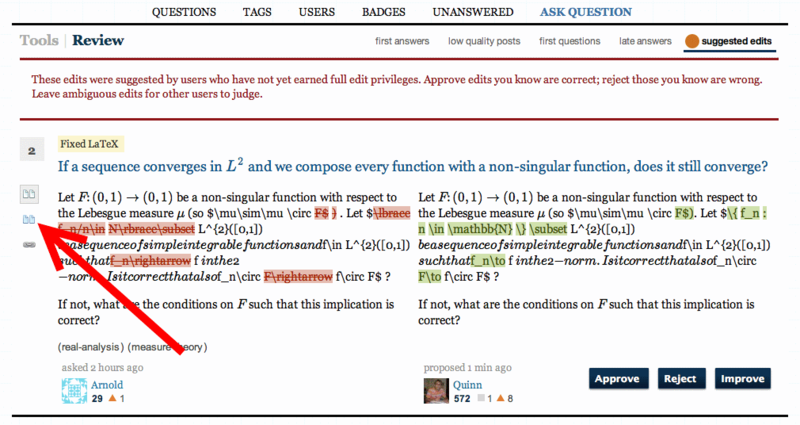 The "review suggested edits" shows something like below which is not of much help to review and approve the edit. It makes more sense, especially on math.se, to show the final form of the post, including the typeset i.e the form it would appear on screen once it has been posted/approved. 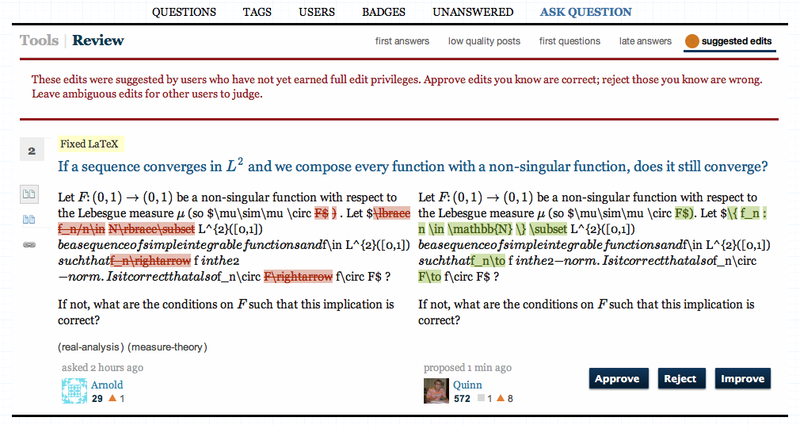 This is of more relevance to math.se since most of suggested edits have got to do with some typesetting changes. It is hard to figure out what exactly the changes are and how they affect the post without looking at how they appear on the screen. I had also been quite annoyed by this aspect of reviewing proposed edits. However, one solution is to click the "improve" button, which will show you exactly what you want (what the end result of the proposed edit would look like), and then if it is satisfactory, just hit the "back" button and approve it. Starting earlier today, we now treat formulas as single units when it comes to comparing them between revisions. 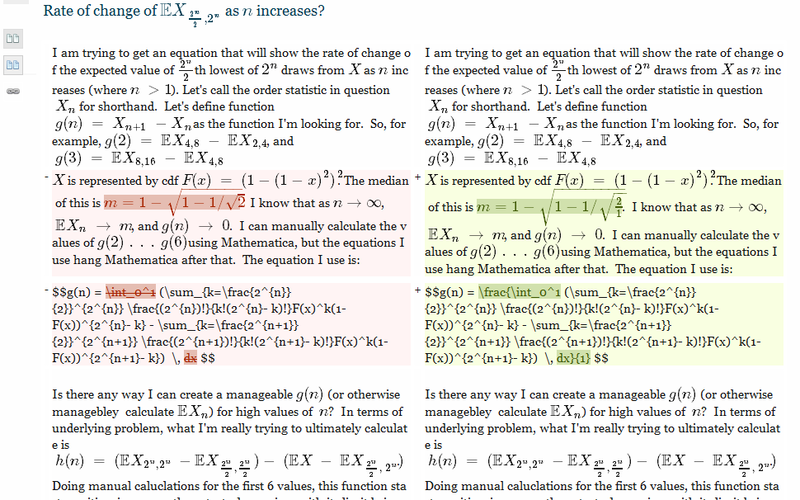 The inline and side-by-side views show rendered formulas, and the "side-by-side markdown" view can be used to view the actual notation changes.